The curse of the clothes moth! Carpet beetles can also cause major textile damage. Serious infestations can develop undetected in collection storage and display areas causing significant damage particularly to animal fibres such as wool, silk and fur. Moths prefer dirty fabric when laying their eggs and are attracted to textiles containing human sweat or other liquids that have been spilled onto them. It is the fabric-eating larvae that causes damage not the adult moths. If you find infested objects, it is important to deal with the problem as quickly as possible. If the objects have been badly damaged, are very fragile, or have significant heritage value, it is strongly recommended that you seek advice from a qualified textile conservator before undertaking any treatment. Remember that freezing will not prevent future infestations. Ensure collection objects are kept clean. Keep storage and display areas uncluttered and dust-free. Inspect collections regularly to ensure early detection of insect activity. 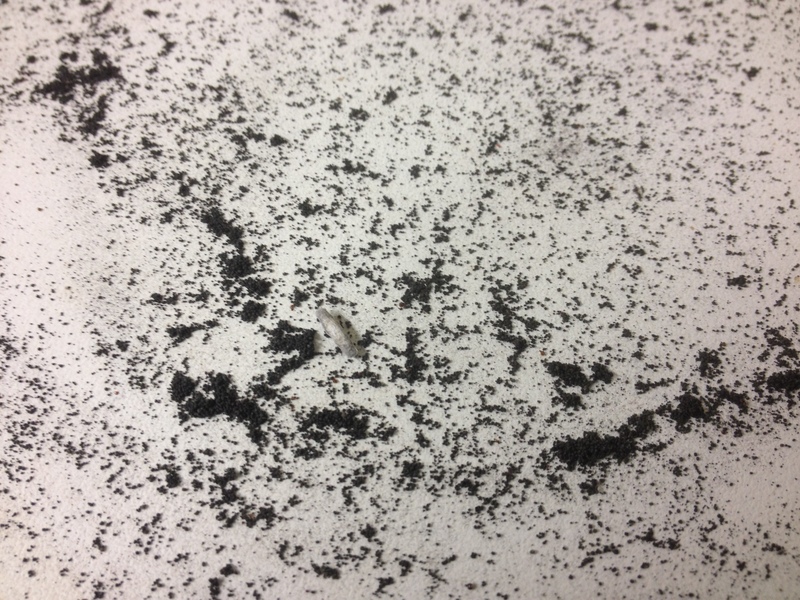 As well as visual inspection of objects, use insect traps. Check fortnightly during hot humid weather and monthly during cooler drier months. More regular checking will be needed if a problem is suspected. Deal with infestations promptly using non-toxic treatments such as freezing and anoxia. 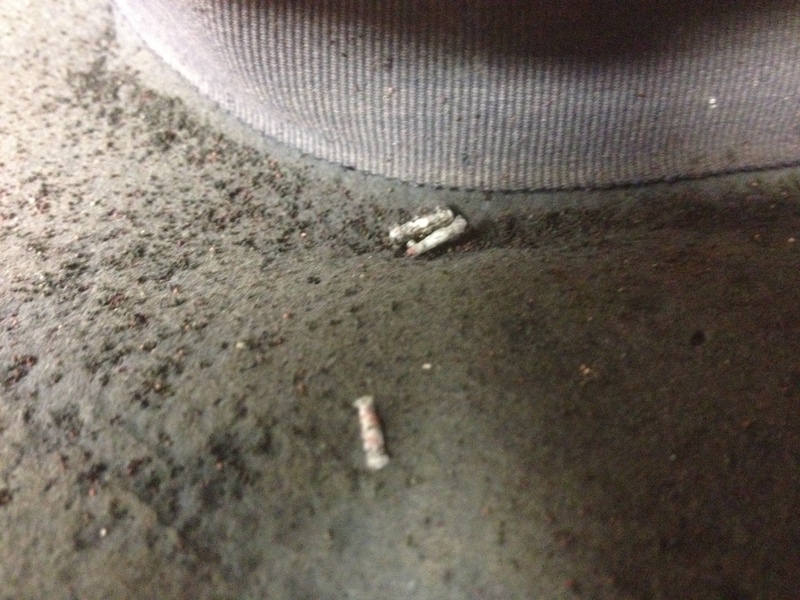 Casemaking clothes moth larvae cases on the inside of a felt hat. Posted on 24 September 2015, in Lydia's Diary. Bookmark the permalink. Leave a comment.